Consult your guidance counselor or teacher. You may want to have your teacher or guidance counselor walk you to the process of choosing which tests to take. They should be able to explain to you your options and help you decide which SAT subject test to take based on your key strengths and the requirements of the universities you want to apply to. It is also often best to take the subject test when you’ve completed your high school coursework on it. So for example, you’ll have chances of scoring better on French if you’ve completed French subjects in high school. Know your main interests and strengths. Consider what your strengths and interests are. 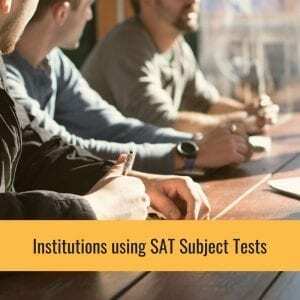 It’s mainly because the SAT subject tests that you will take should be based on the subjects you’re good at, which will also most likely point you to the courses you plan to take in college. Your chosen SAT subject tests will tell your college’s admission committee more about your capabilities. These will help support your college application. 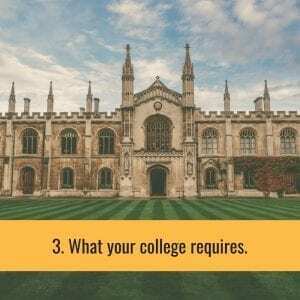 Another factor that you should take into account is if your chosen colleges require or recommend a particular SAT subject test so that you can enroll in one of their programs. But even if a college is not concerned about subject tests, submitting a score will enhance your application. If you do well on a specific subject test, you might also be granted with a credit or an exemption from certain freshman course requirements by your chosen college. You can inquire from these institutions about their policies pertaining to this matter. Finally, you can go over the list of SAT subject tests and work out if you have accomplished the coursework for the subjects of your choice. When you have decided on this, it’s time to focus on your SAT test prep.